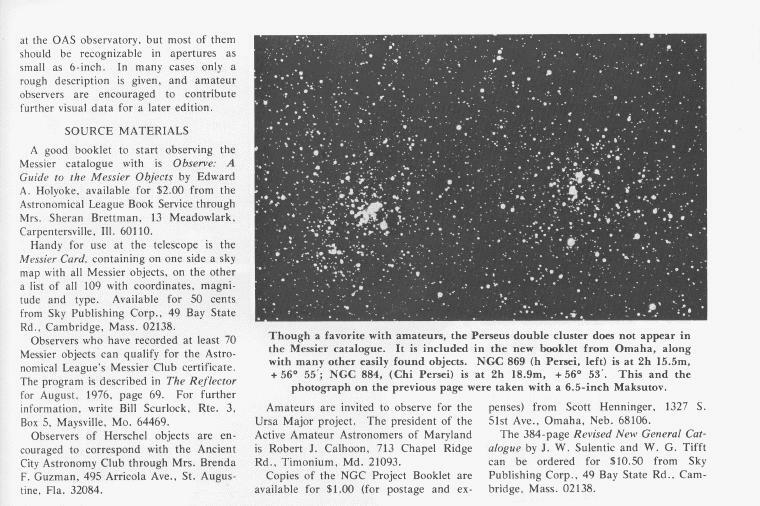 The following article is from pages 33, 34 and 35 of the July 1977 issue of Sky & Telescope (Vol. 54, No. 1). 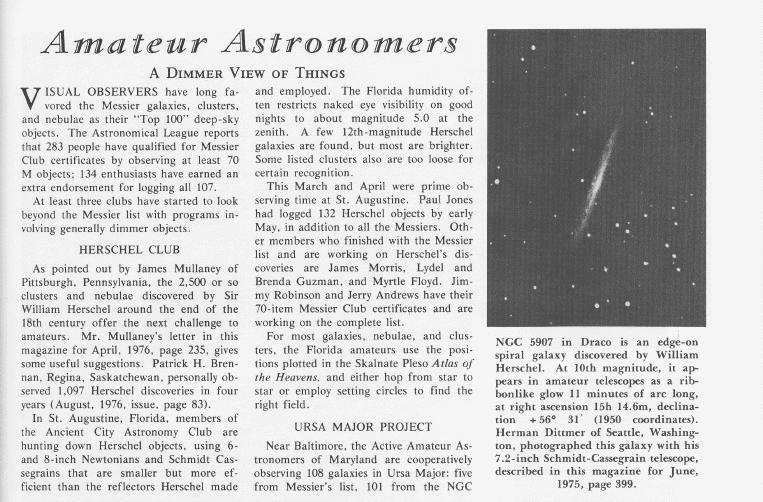 It explains a bit about the history of the Ursa Major Project, which was originially started in 1974 by David Kratz and Robert Calhoon in the Baltimore, Maryland area.